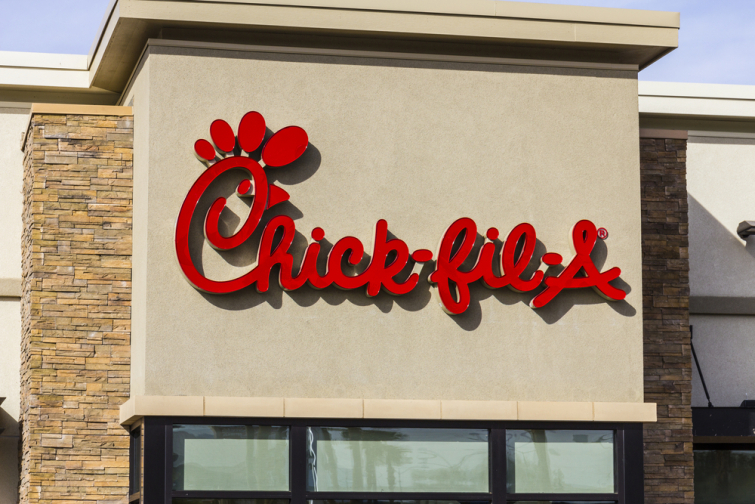 Chick-fil-A is pretty much always closed, everyone knows that. But last Sunday there was one open in Alabama to throw a party for a boy with special needs. Mother of the birthday boy tells CBN News all about it. Elijah Sprague was the lucky one who got to celebrate his 14th birthday party at Chick-fil-A. WKRG News 5 reports that Elijah's uncle is the store manager and made it possible for Elijah to have his dream come true: working the drive-thru. Elijah suffers from autism and his mother, Rene was immensely grateful. She shares on Facebook: "The way people love this kid amazes me. It has truly changed the way I live my life. Loving people with your whole heart, judgments aside and with no anticipation of rewards. Thank you to every single person that loves our Elijah,"
Elijah who was put for adoption was a premature baby born at only 22 weeks. He suffered from brain bleeds what caused the autism. Baby Elijah spent six months in the Neonatal Intensive Care Unit at the University of South Alabama Children's Hospital. Rene who worked at the hospital was hoping to adopt and it was a match made in heaven. Rene shares that she hopes that Elijah could be an example and that other kids could learn from him: "Elijah, and other kids that are differently abled, are such an integral part of our communities. These kiddos have such pure hearts and can teach us so much about courage and integrity," she wrote. "I encourage everyone to reach out to a family that is raising a special needs baby and offer to pray for them, bring them dinner, invite mom over for a glass of wine. Raising Elijah (and my other babies) will be the greatest accomplishment of my life. But it is the hardest, most emotionally exhausting responsibility I could have ever imagined. Having a tribe of people that support me is just invaluable. I am eternally grateful for MY people and the people that love Elijah like he belongs to them."